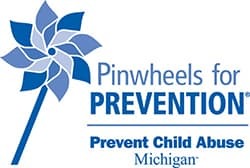 Champion Chevrolet of Fowlerville and your Metro Detroit Chevy Dealers are proud to support Pinwheels for Prevention, a campaign designed to create awareness for the prevention of child abuse in Metro Detroit. Sadly, in Southeast Michigan alone, 1 in 10 kids are sexually abused by the age of 18. 87,811 children are currently in families being investigated for child abuse and 15,000 children are in the foster care system. 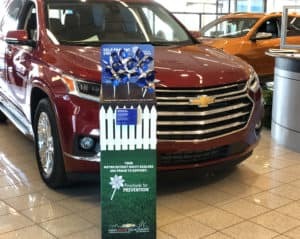 April is National Child Abuse Prevention month and Champion Chevrolet of Fowlerville wants to help spread the word. Visit our dealership in Fowlerville, now through April 30th, and pick up a free pinwheel from our pinwheel garden.The pinwheel is the national symbol for child abuse prevention and represents a carefree childhood. By taking one and displaying it, you’ll be showing your support.